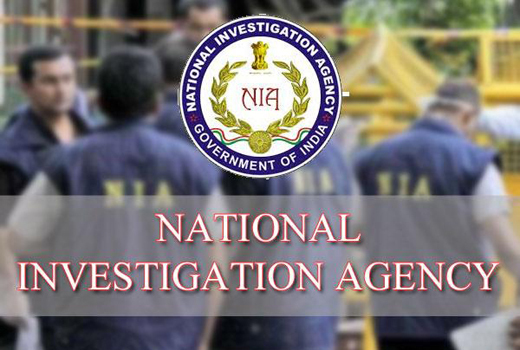 New Delhi, Apr 10, 2019 : The National Investigation Agency (NIA) has arrested a resident of Kerala in connection with an Islamic State related case, Yahoo reported. Nihar was arrested on the basis of the disclosures made by another accused in the case, Hamsa U K.
He had told the NIA that Nihar along with other accused persons were working in Bahrain and attending classes at Al Ansar Salafi Centre. There they had shared jihadi ideology and decided to join ISIS in Syria. Most of his associates had left Bahrain and joined ISIS in Syria, Hamsa also said. Nihar had planned to travel to Syria to join the proscribed terrorist organization ISIS/Daish in December, 2016 from Bahrain while running an advertising company there. During 2016-2017, he had facilitated travel of some of his associates to Syria with the intention of joining ISIS/Daish and waging war on its behalf against Syrian Government. Following the arrest of some of his associates in October, 2017, Shaibu Nihar had shifted from Bahrain and taken shelter in Qatar and continued his advertising company there also.